Troubleshooting the Black Screen of Death. If you turn your Xbox ONE on and it seems to be stuck on a blank or black screen OR you see the green Xbox ONE boot screen but proceeds to get stuck on a black or blank screen, then you may be experiencing the Black Screen of Death. We have put together several useful troubleshooting steps to help you find a possible solution for your Xbox ONE problem. If at any point after following this guide you start to experience the Xbox ONE green boot screen (the Green Screen of Death), you should proceed to our Xbox ONE Green Screen of Death Troubleshooting Guide. When the Xbox ONE boots it runs a serious of checks on hardware and firmware to validate the system. This sometimes could take several minutes (up to 10). Power on your Xbox ONE and leave it alone for at least 10 minutes. Sometimes patience is the best solution as electronics can sometimes work things out on their own. *NOTE: We have let systems boot for longer than 30 minutes before, and they finally resolve the issue. While you are waiting for the system to boot, listen for abnormal sounds coming from the system such as "clicking" or "ticking" noises. Make sure to be in a quite place as these sounds are sometimes hard to hear. Also make sure your system stays powered on for the entire test. If it turns itself off, you may be experiencing a different problem, or if your system loses power during the test other damage could be done. Troubleshooting Hint:If you do hear abnormal noises coming from inside the system such as "ticking" or "grinding", the internal hard drive could be defective and you should proceed to Step 4 below. Boot times longer than 10 minutes could indicate a faulty internal hard drive, or a soon-to-be faulty hard drive. If you have let your system try and boot for at least 10 minutes, and there are no abnormal noises it is now time to try a Hard Reset. This will clear any cache memory that may be “stuck,” and will also reset the network settings. To perform a Hard Reset, see our guide on How to Hard Reset an Xbox ONE. If you have performed a Hard Reset and your system is now booting normally, proceed to step 3. If you are still experiencing the Black Screen of Death, jump to Step 4. If your console is now booting completely, and seems to be functioning normally again we strongly recommend you perform a Factory Reset with the option to keep your games & apps. This will remedy any other corruptions the Xbox ONE may have in the operating system and help to prevent the Green Screen from returning. 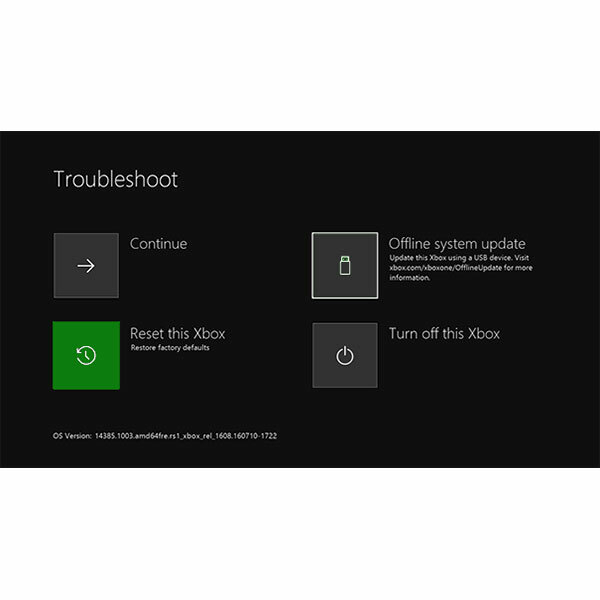 To Factory Reset your system, see our Xbox ONE Factory Reset Guide. If you are still having problems with your Xbox ONE, proceed to the next step. If you have completed the previous steps, and are still experiencing the Black Screen of Death, your console requires repair. At this point you have done all you can from the outside of the system. Further troubleshooting can be done, but requires the system be disassembled and the individual components be tested. See the Troubleshooting Tips below. We have repaired thousands of game systems. We possess the knowledge and the equipment to do the job right--The First Time! Our service, knowledge, and courtesy make us the Best Alternative Solution to the manufacturer! Get your system repaired, and GET BACK TO GAMING! To get started simply click the button below, select which Xbox ONE you have, select "Start-Up Repair" for the repair type, and select your shipping preferences. Then continue with the checkout process! 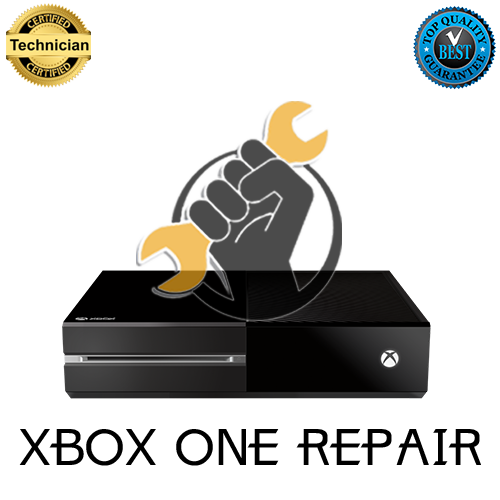 If at any time you have any questions about any of our repair services, or you need extra support for your Xbox ONE console, please feel free to contact us. **PLEASE NOTE: If you decide to disassemble your Xbox ONE system, doing so will void any type of warranty you currently have from the manufacturer or Gamers Repair. We carry a wide variety of parts for the Xbox ONE. Find the part you need, and fix your system. All orders have FREE shipping, and are shipped the same day if ordered before 1 p.m. CST! If you hear "ticking" or "clicking" or even "winding" noises coming from inside your Xbox ONE it could mean the internal hard drive is defective. The system requires the hard drive to be healthy for it to boot. At the time of writing this, the hard drive is replaceable but requires intermediate technical skills to complete the process. We have experienced instances where a system would not boot due to a damaged or defective hard drive connector cable, disc drive data or power cables, or even the ribbon cables connecting to the disc drive board inside the disc drive. If you take your system apart we recommend checking all the cables, connectors, and ribbon cable pins for damage such as extreme folds/bending, rips or tears, and bent or missing pins. We have also experienced instances where a system would not boot due to a corrupt or damaged NAND chip on the motherboard. This chip holds the current firmware, and damage to this chip would cause the firmware installation to become corrupt and could also prevent a new firmware from updating or re-installing. In this instance it may be more logical just to replace the entire motherboard. The content of the Troubleshooting Section and it's containing guides are for the sole purpose of helping you try and find a possible solution to problem(s) associated with the device the guides are pertaining to. All information provided is to the best of our knowledge; based on our experience, and does not guarantee you will find a solution. We DO NOT guarantee your device is fixable nor do we guarantee the repair recommendations or options will fix your device. Furthermore, we do not guarantee the information provided will pin point any problem(s). 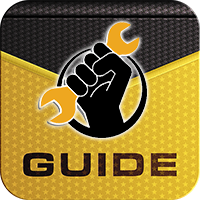 The guides found in the Troubleshooting Section are designed to help narrow down what the problem may be, and to provide a possible repair to fix the problem.